I'm back...after a VERY long hiatus! First, I was pregnant and too tired to blog and then I was on maternity leave and didn't have anything to blog about. So, here I am, a few months away from returning to the classroom. I've been busy catching up on my blog stalking and coming up with fresh ideas for the upcoming school year. 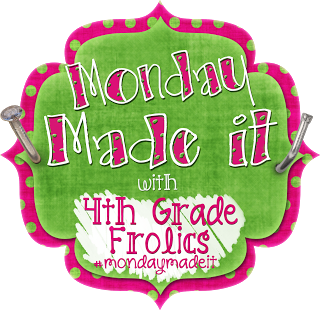 Today, I'm linking up with Fourth Grade Frolic's Monday Made It to showcase a couple of projects I completed on the weekend. 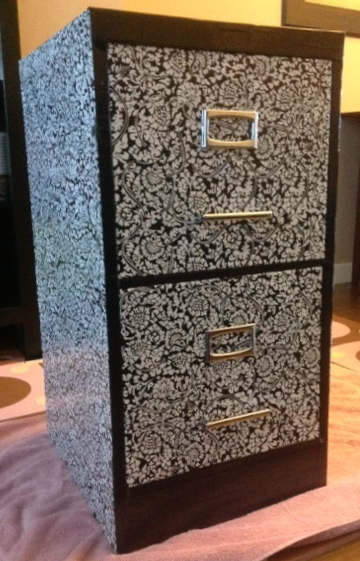 I bought a used filing cabinet for $3.50 and used contact paper and some duct tape to pretty it up. I still haven't decided if it's coming with me to my new classroom or becoming a permanent fixture in my den. I used First Grade Glitter and Giggles' free download, mounted it onto some scrapbook paper, put it into a document frame, and hot glued matching ribbon to the back. 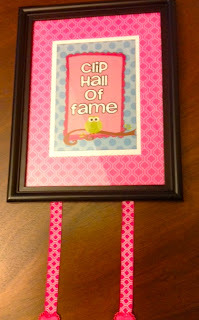 I plan to "retire" clips to the Hall of Fame, once a student has reached the top of the chart five times. If you aren't familiar with the clip chart behaviour management system, you can read more about it HERE. If you'd like to link up to Monday Made It, just click on the picture below! I really like your filing cabinet. I did one last year. I painted mine pink and put Scrapbook paper on the front of the drawers. It turned out really cute but I like how you did the side of your cabinet too. I may just have to do that also. Thanks for sharing. Thanks for the comment, Tammy! It's nice to get one that isn't spam! 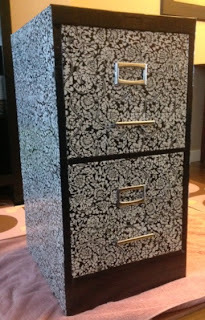 Your file cabinet with contact paper is BEAUTIFUL! Thanks for the inspiration and idea! I LOVE your clip chart hall of fame idea - I've been trying to work out how to reward these kiddies for always trying their best at school and I think you've just solved my problem.